On February 6, 1865, 150 years ago today, the second day of the Battle of Hatcher’s Run and Grant’s Eighth Offensive against Petersburg and Richmond was playing out. Before the day was through, a major fight would occur around Dabney’s Saw Mill south of Hatcher’s Run between Warren’s V Corps and elements of three Confederate divisions (Pegram, Evans, Mahone), newlywed Confederate division commander John Pegram would be killed, and the 11th Pennsylvania would lose its beloved mascot Sallie. The previous day, February 5, 1865, had seen three distinct Union forces move out from their permanent fortifications. Gregg’s cavalry division had launched a raid on Dinwiddie Court House which only managed to capture 18 wagons. To support this raid, Warren’s V Corps had been sent south of Gravelly Run to provide protection to the cavalry. Humphreys’ II Corps, closest to the Confederates, had moved southwest to dig in around the crossings of Hatcher’s Run at Armstrong’s Mill and the Vaughan Road. Lee launched a Confederate attack against Humphreys’ position late in the afternoon, using portions of Heth’s Division and Evans’ Division in order to exploit a gap in the Union lines. This attack failed as the Union managed to plug the gap just in time. Though it did not provide the striking victory he had hoped for, Lee’s aggressive posture caused Army of the Potomac commander George G. Meade to immediately go into a shell. On the night of Feb. 5-6, he ordered Warren and Gregg to move northeast up the Vaughan Road and gather just opposite Humphreys on Hatcher’s Run. Once his entire force was in a compact formation, he felt he could better deal with the Confederates without the risk of a disaster similar to those at Jerusalem Plank Road, Globe Tavern and Ream’s Station. 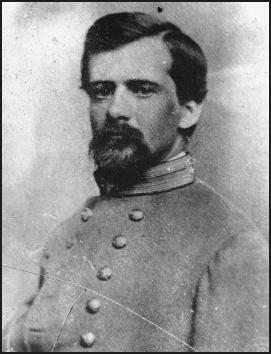 For his part, Lee reacted to reports of the Union withdrawal from Dinwiddie Court House by sending elements of Gordon’s Second Corps (Evans and Pegram) as well as Mahone’s Division of Hill’s Third Corps back to their camps that night, where they could more comfortably pass the night in what by now had turned back to freezing winter weather. Mahone’s Division had the farthest distance to go, and events of February 6 would see them swiftly recalled back to the area around Hatcher’s Run. By sunrise on February 6, Meade’s troops were consolidated to his liking north and south of Hatcher’s Run, defending the area from Armstrong’s Mill to the Vaughan Road crossing. Now that his men were concentrated, Meade needed to find out exactly what the Confederates were doing in front of Humphreys, Warren, and Gregg. He ordered the two corps commanders to probe cautiously in the Confederates’ direction that morning. [A]t 1.15 p.m., I issued instructions to General Crawford to move out on the Vaughan road to where it turns off to Dabney’s Mill, and then follow up that road toward the mill, drive back the enemy, and ascertain the position of his entrenched lines said to be there; also, to General Ayres to follow General Crawford with his division, taking with him General Winthrop’s brigade, then with the cavalry down the Vaughan road. General Gregg was directed to send a force of cavalry and drive the enemy down the Vaughan road across Gravelly Run, and also to watch the left flank of the infantry column (composed of General Crawford and General Ayres) as it advanced. This I thought the cavalry could easily do, as no considerable force of the enemy had been reported to me to be in that direction. General Griffin’s division was left in reserve to support either the column toward Dabney’s Mill or the cavalry on the Vaughan road, and posted where the road diverged. General Humphreys informed me also that Wheaton’s division, 4,500 strong, at the Cummings house, was available as support, as well as General De Trobriand’s brigade, 2,500 strong. Robert E. Lee had been busy on the morning of February 6 as well. He tasked newlywed John Pegram and his Second Corps division with moving east on the same roads Warren was now taking west. Pegram sent a portion of his brigade east in the direction of Dabney’s sawmill. Further to the southeast, the North Carolina brigades of Johnston and Lewis, together with Rooney Lee’s cavalry division, finally up from Belfield to the south, were to move northeast up Vaughan Road. The stage was set for two separate battles of differing intensity. The mixed cavalry/infantry fight along the Vaughan Road was a lesser fight. Early in the afternoon, the two side ran into each other between Hatcher’s Run and Gravelly Run. Gregg was able to keep the Confederates at bay on this extreme left flank of the Union lines, allowing Warren to focus on the fight which was rapidly developing around Dabney’s Saw Mill. The enemy seeming to be disposed to press his attack, the First and Third Brigades were dismounted and took position across the Vaughan road, near the Keys house, and held him in check. The Second Brigade was held in reserve, mounted, and at 2 p.m. an order was received from Major-General Warren directing that a force of cavalry should be sent to push the enemy across Gravelly Run. The Second Brigade was ordered to perform this duty, and in endeavoring to accomplish it brought on the general [engagement], which closed the day; the enemy, however, were too strongly and advantageously posted in the woods and behind rifle-pits to be dislodged by the cavalry. Subsequently, with the First and Second Brigades, dismounted he was driven from his position and a mounted force sent to Gravelly Run bridge. A portion of Pegram’s Division, backed by Evans’ Division, was heading east down the road past Dabney’s Saw Mill, passing that place shortly after 1 in the afternoon. Warren was heading in the opposite direction with Crawford’s Division, V Corps, and the two sides collided east of the mill around 2 in the afternoon, starting what would become a rolling back and forth fight in a cold rain as reinforcements on both sides arrived in turn. Crawford’s Division had the best of the fighting initially, pushing the Confederates east to Dabney’s Mill. The Union soldiers mistook a large pile of sawdust for a Confederate fort, and jockeyed to reach that position first. They finally took the “fort,” realizing their mistake only after reaching the destination. At that point, Evans’ Confederates launched a counterattack, caving in the left flank of the Iron Brigade, which eventually broke. At this point, two brigades of Ayres’ Division came up as reinforcements to save Crawford’s embattled left, driving Evans back in turn. The last counterattack of the day was delivered by four brigades of Mahone’s crack division, led this day by Joseph Finegan in Mahone’s absence. Finegan sent his men directly into the center of Warren’s men in two waves, the first consisting of Weisiger’s Virginians and Sanders’ Alabamians, and the second of Sorrel’s Georgians and Harris’ Mississippians. Mahone’s men, as they had done so often in this siege before, drove the divisions of Crawford and Ayres back inflicting casualties and causing a panic in some commands. A brigade from Wheaton’s VI Corps division, sent up to help, was caught in the panic and forced to retire a good distance before being able to reform. This brigade along with Griffin’s Division, the last organized command Warren had, stabilized the situation east of Dabney’s Mill as night fell. In the darkness, the fighting sputtered and finally ended. I went along with the movement toward Dabney’s Mill, to which place General Crawford soon drove the enemy. Rallying there, the enemy forced back General Crawford’s left somewhat, when General Ayres was sent in to his support on that flank with his two brigades. The enemy was again driven and to some distance beyond Dabney’s Mill. The firing continuing now to be constant and severe I brought up the Third Brigade of General Griffin’s division in close support, and was obliged to put it all with General Ayres to hold our left. I sent then also, at once, for at least a brigade of General Wheaton’s division, intending to order the whole division up if affairs on the Vaughan road would permit. Unfortunately, however, the enemy got up re-enforcements faster than I could, and when a brigade of General Wheaton’s division was nearing the scene of action a charge was made by the enemy in a force (according to the Petersburg Express consisting of three divisions) against which I had but six brigades opposed. Our line, despite all the exertions of the prominent officers and much good conduct among those in the ranks, gave way and fell back rapidly, but with little loss after the movement began; portions of the line continued to fire as it retired, and General Wheaton got his brigade in line, and with it a portion of the others reformed, so that the enemy was checked before our old lines were reached by us. The resistance the enemy’s attack met on the Vaughan road, together with the vigor of our attack at Dabney’s Mill, drew off all his troops to the latter place, which was the natural place for both his retiring columns to meet, as was our lines at the run for our two columns in time, so as to have transferred our troops on the Vaughan road to the enemy’s right flank at Dabney’s Mill, we should have driven him beyond the plank road with ease. As it was, a reconnaissance in force (see General Lee’s report) began nearly simultaneously by both parties, resulted in the enemy being repulsed on one road and ourselves upon the other, with probably nearly equal losses. I must say if our troops had all stood as firm at Dabney’s Mill as the best of them did, that I had enough there to have held the enemy till any amount of re-enforcements could have arrived. On the whole, it was not a bad fight and in no way discouraged me in my willingness to try the same thing again with the same men. Nearly all the operations of the column toward Dabney’s Mill I was an eye-witness to, and can speak of the good conduct of all those officers on whom I have heretofore relied. Though the Confederates had had the best of the fighting that day, it came at a high cost. Division commander John Pegram, recently wed to Richmond belle Hettie Cary, was killed in the see-saw fighting around Dabney’s Saw Mill during Evans’ counterattack, and Pegram’s brigade commander Colonel John S. Hoffmann was severely wounded . His aide Henry Kyd Douglas reported that Pegram was dead almost as soon as he was taken off of his horse and laid on the ground. Second Corps commander John Gordon asked Douglas to break the news to Pegram’s bride, now a widow, but he asked to be spared of the horrible duty. Gordon sent another officer, and the distasteful task was performed. Pegram’s funeral was held in the same church where he had been married just three weeks earlier. On the Union side, the 11th Pennsylvania, 2nd Brigade, Crawford’s Third Division, suffered a loss of its own. Their beloved mascot, bull terrier Sallie, had been killed in the fighting. Civil War buffs will often read of men having premonitions of their own death, but rarely do you read of a dog doing the same. On the night before the February 6 fight at Dabney’s Mill, Sallie kept up her four human tent mates with mournful howling, and they repeatedly put her outside in order to get some sleep. The next day, Sallie was killed along with two of the men she had slept with the night before, the other two men suffering wounds. It was doubly heartbreaking considering Sallie had been with the regiment since the early days of the war, taken in as a puppy and raised communally by the men. She grew accustomed to taking her place near the colors, the most dangerous spot to be in a Civil War regiment, and the nevertheless made it through battle after battle. The law of averages caught up with her on February 6, 1865 near Hatcher’s Run, only two months before Lee’s army surrendered at Appomattox. The soldiers of both sides collapsed in the freezing darkness as the rain turned to snow, causing untold misery among those men caught in the open, many without proper clothing. The two sides essentially lay where they had ended the fighting at dark. Lee had his men dig in rapidly to help retard the expected Federal advance the next morning. Warren and his men dug in on their side as well. As day two of the Battle of Hatcher’s Run turned to day three, what would the morning hold? Tune in tomorrow to find out.